Cisco Systems will make a three-pronged attack at Mobile World Congress this week on what it sees as an impending flood of mobile data, especially video, by extending its current product lines with tools for better content delivery. The big splash includes Cisco's first IEEE 802.11n access points for outdoor service provider networks, extensions to its recently announced Videoscape architecture and mechanisms for its access switches to optimize networks for certain types of mobile traffic. Carriers need the kinds of tools that Cisco is unveiling, even though they are already deploying their fastest cellular networks yet, said analyst Daryl Schoolar of Current Analysis. LTE (Long-Term Evolution) and other new systems represent a leap ahead of 3G platforms in terms of capacity and speed, but consumers congregating in popular locations and using multimedia applications will still tax the network, he said. "No matter how much operators spend on networks ... there's still limited capacity," Schoolar said. Wi-Fi will continue to play a big role in mobile operator networks and carriers will want to tune their infrastructure to best deal with growing traffic, he said. "Operators can't constantly be (asking) 'How much capacity can I throw at it,' they have to learn also how to manage the capacity that they have," Schoolar said. In a recently published forecast, Cisco estimated that mobile video traffic would more than double every year from 2010 until 2015, when it would make up two-thirds of all mobile data. Cisco doesn't make cellular radio networks, but it provides wired systems and the network management that sits behind the cellular infrastructure, as well as the Wi-Fi networks that some carriers use to offload data from the main wireless network. The Cisco Aironet 1550 Series Outdoor Wireless Access Points are designed specifically for mobile carriers, municipalities and cable operators to provide wireless coverage in public areas. 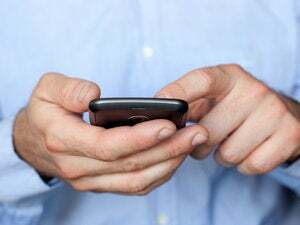 They will incorporate the company's Next Generation Hotspot technology, which is designed to let mobile operators automatically log subscribers on to hotspots and set up encrypted connections. The 1550 family will also include Clean Air, a recently announced Cisco technology that lets access points detect interference and move to different channels in response, according to Chris Kozup, director of borderless networks at Cisco. To tackle the growing volume of video on all types of mobile carrier networks, the company is announcing Cisco Mobile Videoscape, a component of the overall Videoscape platform announced at the International Consumer Electronics Show last month. Mobile Videoscape consists of new technology for the Cisco ASR 5000 switch and the UCS (Unified Computing System) server platform to help deliver video content smoothly regardless of device or network strength, said Andy Capener, director of marketing for service provider mobility. Among other things, Mobile Videoscape can transcode video to different formats and resolutions for viewing on different-sized screens and slower or faster networks, he said. Cisco is also introducing software for its ASR 1000, 5000 and 9000 access switches, which reside on the wired end of a mobile operator's network, to route data traffic more intelligently and efficiently. The AIR (Adaptive Intelligent Routing) technology uses detailed information about subscribers, locations and applications from EPC (Enhanced Packet Core) infrastructure to make those decisions, Capener said. EPC is the next generation of systems for controlling traffic on mobile networks, and it can be used to assign specific quality-of-service levels based on policies, application providers and current network conditions. Traffic management tools can help carriers, but they can also benefit users if deployed well, Schoolar said. Though some subscribers might balk at the notion of a carrier reducing a video from high to standard definition so it can stream smoothly over a congested network to a handset, others on the same cell who can keep surfing the Web at the same time might be grateful, Schoolar said. Consumers are likely to start benefiting from the new technologies in carriers' hands within a year or so, because service providers will be aggressive in deploying them, Schoolar believes. "It seems like things are ramping up quicker than we thought," he said. The 1550 family of access points will begin to roll out in April and will range in price from US$4,495 to $5,295. Though it doesn't supply radio networks as rivals such as Alcatel-Lucent do, Schoolar believes Cisco may be poised to grab a growing share of mobile operators' investments because of its long heritage in data networking. Today, data is what being a cellular carrier is mostly about, he said.